When exactly did it happen? When did you become so worn-out that you can’t anymore? You. Just. Can’t. Was it when that parent (you know the one) demanded “real work” be sent home with her precious little darling daily in the form of worksheets? Even though it’s the first month of school and “Darling” can’t hold a pencil and isn’t even potty-trained yet. Was it the last time a child threw a chair at your head (approximately 6.8 seconds ago) …because you sang the clean-up song? Or maybe it was when your principal told you that he was tired of seeing your kids singing and playing …and demanded to see some “real learning” going on. You spend so much time trying to please everybody — the parents, the kids, and the administration — that there’s nothing left of you at the end of the day but an empty, worn-out shell. Surely it gets better, right? Not yet, because you can’t catch a break after school either. Before you head home to get dinner started, or to rev up the mom taxi, there are lesson plans to be done and a to-do list a mile long you couldn’t make a dent in even if you stayed in your cave classroom until midnight. I see the circles under your eyes from staying up late cutting out laminating for that amazing lesson today. I see the look on your face when the principal walks by your classroom door. Just hoping and praying he doesn’t get after you about how play dough isn’t in the “standards” – again. I see you lugging your heavy bag home every single night as you trudge toward your car, counting the days until Thanksgiving/Winter/Spring and hoping against hope that you can catch up then. I know exactly how you feel … because I’ve been in your shoes before. 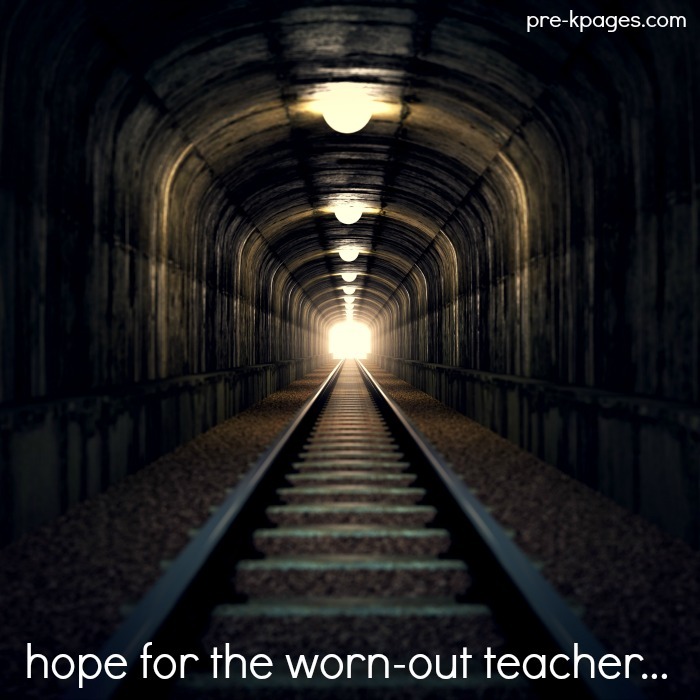 You feel like there’s absolutely no light at the end of the tunnel right now. But I want to let you know there is hope. I survived …and so can you. These three things helped me reduce the overwhelm and take back my life. Like you, I too spent long hours at school every single day. I was feeling frustrated because I was barely keeping my head above the water. Eventually, it dawned on me that I was reinventing the wheel every Sunday night. When I stopped searching for that perfect activity, and started tweaking the activities I had already used – ones my kids actually liked and that held their interest for more than a nano second – I realized that I had the perfect activities all along. I became super organized so I wouldn’t waste time looking for the supplies and materials I needed to do my job. I took pictures (and notes) of every activity that actually worked so I would have a visual reminder for next year – and I scrapped the ones that didn’t. And finally, I started saving everything I created digitally, added dates to the name of each file, and organized the files in electronic folders with easy to remember names. But it wasn’t until I cut the “teacher drama” out of my life that I really started to feel like I was ahead of the game. 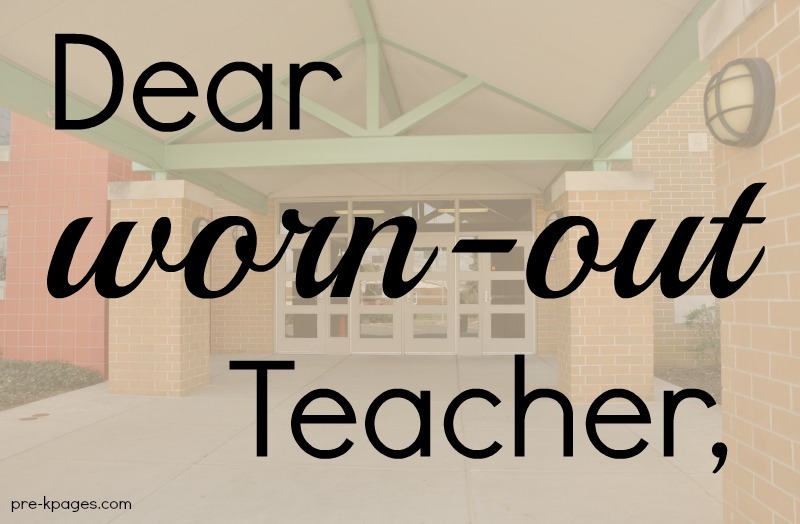 I stopped comparing myself to that teacher down the hall (you know the one- with the claw foot bathtub in her reading center) … and I started believing that I was just as awesome as she was – with or without the bathtub! I started hanging out online with teachers who were encouraging and supportive, instead of ones who try to tear you down. 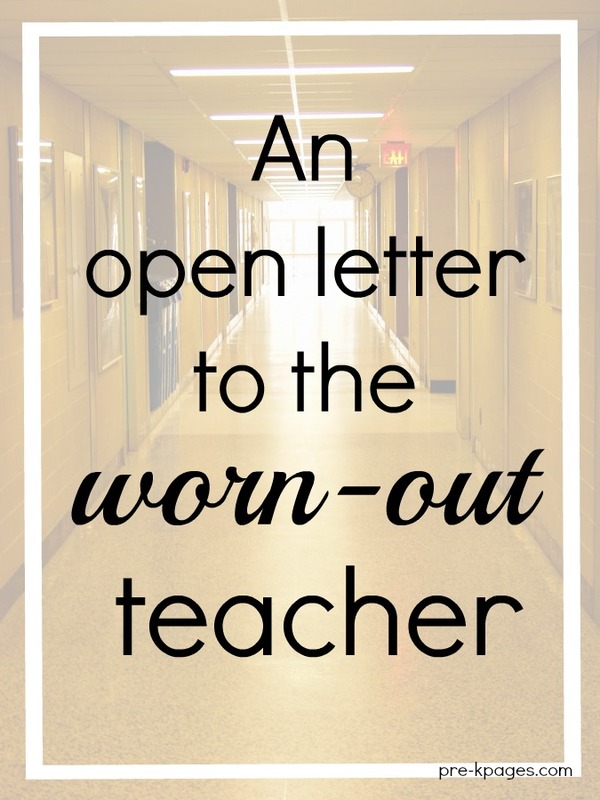 The truth is, it took years to get to a place in my teaching career where I was confident and content. I only wish I could have gotten to that place a lot sooner! That’s why I created The Teaching Tribe, where teachers like you can find the resources and support you need right away to help you live more and teach well. The Teaching Tribe helps you work smarter instead of harder by providing you with not only the tools you need to teach well, but the training that goes along with it. And there’s no need to reinvent the wheel when you have hundreds of done-for-you lesson plans at your fingertips. The Teaching Tribe is a safe haven for asking and answering questions- without all the drama! This is your shortcut to success, learn more HERE. Oh boy, you are my hero! Thank you so much for that encouragement. Every word you said is so true! I am a faithful member! Thank you so much for all your words of encouragement. Sure need the lift me up right about NOW! I agree 100%! I am so glad I have you by my side. Thank you Vanessa!!! I needed this. Working on my lesson plans on Monday night and not Sunday night because of a day off……that was spent on lesswhat on plans. It’s all about policy now and not about best for the students. What has happened to best DAPs? I am a faithful member of your tribe. Thanks for everything! I agree!! It’s how we look not actually how we enrich! It’s going against our philosophy and DAP, which was the ” Bible” in college. It’s so sad. What about those parents? The one that tells you not to let them use markers because they spend too much on the kid’s clothes or demands to know what you did with their daughter’ poop covered dress from 3 weeks ago, and yes, it was bagged up in her backpack 3 weeks ago! Or the new district mandated curriculum that has you teaching circumference to 3yr olds. I’ve just about had enough, and I adore my kids. It’s everything else that’s wearing me down. Hey, I felt like you are spying on me because that is exactly how I’m feeling. I’m happy to know that someone understands. Thanks for the encouragement. Oh how your words are ringing in my world right now. It has been a really rough beginning school year. You see. Our director decided at the end of August that we were going in a new direction. So everything that was prepared had to be scrapped! I started the school year behind. I have been in the office being “nicely” reprimanded for not having the rules posted, the class routine posted, and oh have you put up your behavior chart? For the first time since the beginning of this school year I feel as if I am bobbing above water. You see, I decided to spend the extra time encouraging my kiddos in what was expected. I’ve focused on how each one listens and responds to open ended questions. I’ve given them a little leeway for Circle Time. And today I was fortunate enough to see the fruit of my labors. As a group they came together and organised the age old game of London Bridge which led to a rousing rendition of The F a armed in the Dell. They didn’t need me. They got it. And they did it together. So maybe spending those extra minutes focused on them will now allow me to focus on the rest. You’re the teacher, in the classroom every day, and you have to do what’s best despite what your administration says. I hope things get better soon! I’m beginning my 23rd year of teaching Pre-K. Between testing, Admin and such I too became the worn out teacher. The teacher at faculty meetings with a bad attitude. That teacher when they would hear of a young person wanting to be be a teacher and almost attacking them with “Are you CRAZY!” What happened to me??? I’m not a teacher but an assistant. And this year had already taken a toll on me. Our teacher has been out since September for personal reasons and won’t return until November. And on top of that I have had 2 new children enter the classroom. So this really hit home considering how worn out I have been!! I decided to transfer from 4th grade Autistic 6:1:1 self contained classroom after 2 years of administering high stakes standardized tests in math , English and Science that my students can’t read or comprehend , and teach Autistic kindergarteners in a 6:1:1 class, feeling relieved that there are no high stakes , bubble in the answer testing. I had hoped for more authentic teaching hands on learning and more joy for me and the learners. Wow , was I delusional . Since Sept. I have tested my students on poorly developed on line tests 7 times. I was informed that toys cannot be called toys but must be called ” manipulatives “and used only as rewards for expected behavior for short periods. I was also told there is no rest or nap time even though I have 4 four year olds and 3 are still in diapers. I got disapproving looks from an administrator for using play doh and shaving cream to help my students with their sensioneural/ proprioceptive issues. Play with toys IS LEARNING!!! My students cannot work alone at “learning areas” formerly ” learning centers” but I have to show evidence of them using them . I have 3 tantrumers with Behavior plans that I have to data track constantly plus all the copies of inappropriate worksheets , not to mention lesson planning and non stop ” data” collection . My weekends are spent lesson planning and taking tums for my anxious stomach as I teach in what feels like the gulag! Thanks for listening . Just read the letter today and I’m so glad I did. I still struggle, even though I joined the teaching tribe this past year. Still trying to work smarter and not harder! I am the preschool teacher and lead teacher for our program. In addition, my director has left town to go overseas for the next three weeks so I am acting director too. I feel worn out and I know my attitude needs adjusting. I actually told my husband I feel like taking a whole year off to find myself again…nice thought but once I walk away I will be replaced. Thanks for all the help and encouragement you provide! Im the teacher staying 12 hour days until the custodian turns the radio off at the end of his shift, telling me I’d better go home to my own kids or I’ll be at risk of setting off the alarm when I do. Im a special ed preschool teacher with meetings and files and paperwork stacked higher than I can reach. I love the encouragement, and the Teaching Tribe. The pages have colored our classroom world and saved me more than once. And this is why after 28 and half years of loving what I do, I retire. My heart hurts leaving my kiddos, but I cannot continue any more. I am ill and cannot take care of myself and do what I love best. And no, I did not begin the year as a in-classroom teacher, but had no choice but to take on a class after their teacher failed to come back. So I am hoping that in the 3 weeks I have left, the administration will hire a new teacher. This way I have the chance to help her out with my beautiful students. Thank you,i needed this so much today,you have no idea how good it made me feel. This is my 24th year and my last in Pre-K, I am retiring and I am so ready for a break. I love Pre-K and all that comes with it except the administration and the monitors that hover like helicopters to catch you doing something wrong so they can shoot you down. I love having fun with the children and including teaching in the fun. It is good to have another resource. Thanks for your ideas. Are you sure you’re not spying on me? 😉 I defiantly need this today. Thank you so much for all you do.